in any River Hills Neighborhood. River Hills is situated among the North Shore suburbs with large stately trees and the shimmering Lake Michigan coastline. Stretching along one or both sides of the Milwaukee river, River Hills is a peaceful oasis in the heart of a large city and offers the life style of a country squire. The North Shore boasts some of the nicest homes in Milwaukee County and is an impressive example of affluent living. Sprinkled throughout the pastoral, forested suburb are swimming pools, tennis courts and stables. The median income is $185,515. River Hills is zoned entirely residential, with a minimum lot requirement of five acres. Two houses of worship, a city hall and the police and fire departments are the only non-residential buildings in the community, except for the elegant Milwaukee County Club and the private University School of Milwaukee, with classes from kindergarten through high school on a 120 acre campus reminiscent of a New England college. School Districts are Glendale-River Hills, Maple Dale-Indian Hill and Nicolet UHS and the student/teacher ratios are 13, 15 and 14 respectively. 85% of graduates plan to attend college. Wisconsin Realtor Associations, Real Estate Departments and Realty Organizations River Hills Wisconsin houses for sale by owner. River Hills homes by owner are also known as River Hills FSBO homes for sale. River Hills Wisconsin Realtors. River Hills homes by owner are also known as River Hills FSBO homes for sale. River Hills condos for sale. River Hills Realty companies in River Hills. River Hills Realtors - often misspelled (realters, realiters, realitors, reltors.) River Hills bargain properties including government seizures, foreclosures, hud and va reposessions. 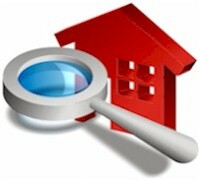 River Hills Rental properties and homes available. River Hills WI FSBO for sale by owner. Wisconsin Realtor Associations, Real Estate Departments and Realty Organizations River Hills Wisconsin real estate homes and houses for sale. River Hills Realty companies in River Hills. River Hills new homes, buildings, new constructions, rehab properties.